Cart orders can be fulfilled at the Municipal Service Center by calling Public Works at 906-228-0444. Pickup will be required at 1100 Wright Street.  The City of Marquette provides once per week collection of household refuse and properly prepared recyclables from all residential properties within the city. Residential properties include single family homes, townhouses and apartments, not exceeding five units per building. For purposes of this service, buildings containing more than five dwelling units are considered commercial properties and are responsible for providing their own solid waste services. Collection is provided between 10:00 pm the preceding evening and 8:00 am, Tuesday through Friday mornings. The collection schedule is not adjusted for holidays. Contractor shall give notice through the local media for any changes. Containers are to be placed curbside after 1:00 pm on the evening preceding the scheduled collection day. All bags and containers must be on the ground. Any bags or containers placed on top of a snowbank will not be collected. Any can or reusable container not collected with the refuse is to be removed from the street right-of-way and placed in an inconspicuous location on the owner's property prior to 8:00 pm on the collection day. Residential collection is provided by Waste Management, 910 W. Baraga Avenue, under contract to the City of Marquette. Service complaints or requests for information may be directed to Waste Management Inc. at 662-6065, or to the Public Works department at 228-0444. Household refuse may include garbage, rubbish, and kitchen wastes, such as discarded food or food residue and paper used for wrapping the same, animal wastes, and minor household items. It shall be well drained of all liquids. It shall not include yard waste, materials from construction or razing of buildings, waste from any manufacturing process, or hazardous materials defined by Federal, State, or local law, rule or regulation. Refuse does not include materials intended for recycling. All refuse placed curbside for pickup must be in city approved prepaid bags or carts. Approved bags are available at the Waste Management's office and at major area retailers. A prepaid bag may be placed in a covered garbage can for pickup, provided all refuse is contained by the prepaid bag and the bag is tied. All bags shall be tied and each filled bag shall not exceed 30 lbs. The property owner is responsible for damage to bags resulting from dogs, cats, rodents, birds, etc. During winter months, refuse must be placed at ground level. Any garbage or recycling placed on top of a snowbank will not be collected. Residents making use of curbside pickup shall place their approved containers between the sidewalk and curb, or between two and eight feet from the edge of the roadway in areas where there are no sidewalks or curb. Containers shall be placed in front of the owner's property (as much as possible) and in a location accessible to collection equipment. During winter months, refuse containers shall be placed in a driveway opening or some other established opening in the snow bank not above waist height. Any household not having an able-bodied person or neighbor willing to assist in placing refuse curbside for pick-up may register with the Department of Public Works for special accommodation. Special service cannot be provided without registration. As situations change, type of service may be reconsidered. Monday thru Friday 9:30 a.m. - 3:00 p.m.
Information can be found at the Marquette County Solid Waste Management Authority website. The 2019 Spring Brush/Leaf Pickup will begin May 6. Curbside brush pickup will occur May 6-10. Curbside leaf/compost pickup will occur May 13-24. Please read the following information regarding dates of your collection and rules that may apply. The City of Marquette Compost site, located at 1415 Pioneer Road, is opening for the season Saturday, May 4. Hours of operation are Tuesdays 3 p.m. - 7 p.m. and Saturdays 9 a.m. - 1 p.m. The "Solid Waste" fee payment on a current City water bill and ID is required for admittance. Yard waste, grass clippings, garden debris etc. are accepted with no size limit. Property owners may also drop off one pickup load of brush per day. (A pile approximately 12’L x 6’W x 5’H). Household organic compost disposal is not available at this time. This drop-off site is not available to commercial haulers. Open burning is not permitted in the City of Marquette. The Household Rubbish site, located at 1415 Pioneer Rd., is opening for the season Monday, April 22. It is open Mondays and Wednesdays 3 p.m. to 7 p.m. or until at capacity and the second Saturday of the month 1 p.m. to 4 p.m. or until at capacity. Extra days have been added to the first two weeks to provide Spring Cleaning Assistance. The schedule is as follows: April 22nd, 23rd, 24th, 25th, 30th, May 1st and 2nd 3 p.m to 7 p.m. or at capacity. Regular hours will resume Monday, May 6th. The site is intended for City residents paying the "solid waste" fee to dispose of household items too large for curbside pickup. The daily capacity of this site is regulated by the Michigan Department of Environmental Quality (MDEQ) and once the capacity is met, the site will close. No exceptions. A driver’s license and current City water bill showing the payment of a "solid waste" fee for your property is required for admittance. Residents in rental units using the “green bags or carts” who do not have a water bill in their name need to contact their landlord to file the following form with the Public Works Dept. showing a list of tenants eligible to use the site. We ask that all individuals respect traffic and waiting lines that may occur. Accepted items: toys, tools, furniture, old clothing, shoes, books, drapes, carpets, decorations, appliances (must be tagged Freon free by a licensed plumber and only accepted on Saturdays), and other minor household items are accepted but limited to one pickup truck or trailer load per day. Appliances and White goods include all appliances and water heaters. Appliances using any regulated refrigerant must bear an appropriate technician’s certificate for compliance certifying that the refrigerant has been recaptured. This can be done through a plumbing and heating company. Metal items will be separated for recycling. Not accepted items: liquid or hazardous wastes, Freon containing appliances, brush or yard waste, regular garbage, food items, rocks or masonry, compressed gas tanks, tires, shingles, computers, laptops, network equipment, computer parts, software, flat panel screens, monitors, printers, scanners. Properties paying the “Solid Waste” fee on their monthly bills are eligible to use the Christmas tree drop-off sites. Owners and tenants of properties not paying the fee should contact their regular waste hauler for service. These sites are supported by fees, not taxes. Beginning December 26, 2018 through January 14, 2019 there will be two (2) drop-off sites available for Christmas tree disposal. One (1) site is located at the west end of Lakeview Arena parking lot, 401 E Fair Ave. Place tree inside orange fencing. Second (2nd) site is located at Hurley Field, 240 Mesnard St. Place tree inside orange fencing. Residents are to remove all decorations and stands before disposing of their tree. City of Marquette residents are invited and encouraged to participate in the community wide "Trash to Treasure Weekend" annually the weekend before Labor Day. The purpose of the program is to provide a venue for the recycling of reusable household items such as furniture, lamps, electronics, and other working household items. The program is designed to increase awareness in recycling by creating an alternative means of reusing items that would otherwise end up in the landfill. • Residents can place reusable/serviceable items in front of their house on the curb no earlier than 5:00 p.m. Friday on the pre-determined date. Unclaimed items must be removed from the curb no later than 5:00 p.m. Sunday. • Removal of items will be strictly enforced in accordance with Section 22.33 of the City’s Nuisance Ordinance: It shall be unlawful for any person to accumulate rubbish or any articles or junk, except as may be necessary for construction work or normal course of a business. • This Public Service Announcement will serve as notice that items left at the curb will be picked up by the Public Works Department and invoiced to the property owner on a time, material and disposal fee basis. • College students are encouraged to participate in the treasure hunt in that they may find items which will be useful to them in their dormitory or apartment. • Examples of items that can be recycled include lamps, tables, chairs, dishes, etc. Please, no rubbish. Rubbish is defined to mean anything that does not work, is not clean and is not serviceable. • Depositing unwanted items is prohibited. • It is suggested that residents remove lawn ornaments and other wanted items to avoid mistaken identity. For more information or questions, please contact the Public Works Department at (906) 228-0444. The current Alternating Week Fiber/Rigid Schedule can be found at the Marquette County Solid Waste Management Authority website. In addition to garbage pickup, the City of Marquette offers curbside collection of recyclable materials. Prior to collection, recyclable materials must be divided into two separate streams – fiber materials and rigid materials – which will be picked up on alternating weeks at the same time as curbside garbage collection. All recyclable materials must be clean of food residue. Materials are to be placed curbside loosely in a hard-walled plastic bin. Containers used for recyclable collection must be easily differentiated from those used for refuse collection. Do not use plastic bags as recycling containers, and do not place rigid materials for pick-up in paper bags. The City of Marquette is accepting fiber and rigid recycling at the Waste Management Transfer Station 910 W. Baraga Avenue during business hours. Please enter through the main office to check in Monday - Friday 9:30 a.m to 11:00 a.m. and 11:30 a.m. - 3:00 p.m. Verification of City of Marquette resident will need to be provided. Residents may bring organic material to the Marquette County Landfill, located at 600 Co Rd NP, during the business hours Monday - Friday 7 a.m. - 3 p.m. Contents hauled in the back of a truck or trailer must be tarped. Paper Products (e.g. napkins, paper towels, plates and food"